Lapis Bundles (Kits) There are 7 products. 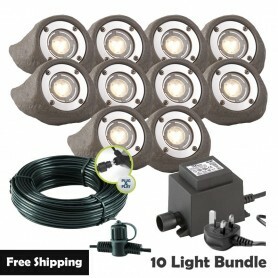 The Lapis rock light bundles are a great way of not only lighting your ponds and water features but also lighting plants around rockeries. 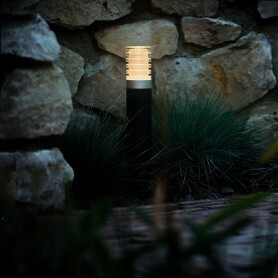 The Lapis is quite heavy and is freestanding which makes it ideal for any situation where spiking or permanatly mounting a light isn't possible or ideal. 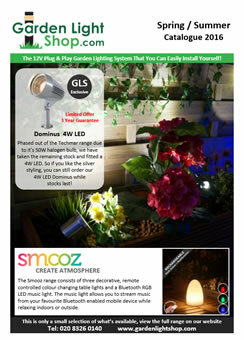 Everything is plug & play so simply plugs together to make a professional garden lighting scheme. The transformer comes with a standard 3 pin plug, that can be plugged in outdoors or indoors if you prefer. 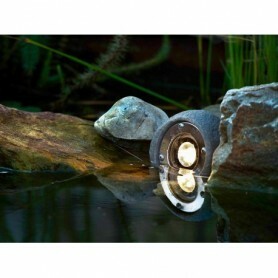 The Lapis rock light is perfect for ponds. 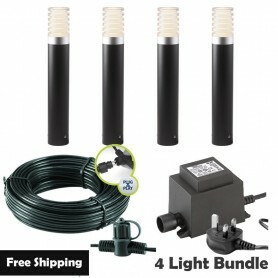 Submersible to 0.5m and of good weight, the light can simple be placed where you need it and your know it will stay there. Much simpler then having to attach a light to something heavy to keep it submerged. 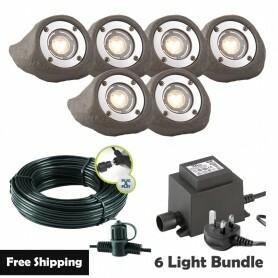 The Lapis rock light bundle can be used as a one of kit for lighting your pond or can be extended to become a complete garden lighting system. 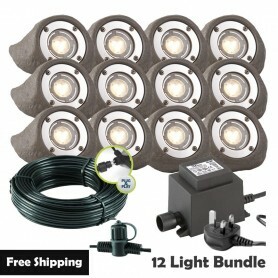 Simply order more Techmar lights and any extra cable you need. Please note that if in the future you are planning to add extra lights, it is worth upgrading your transformer to give you plenty of capacity to do so.